Problems for Societe Generale’s investment unit have seemed to get even larger as it has said it plans to cut about 1,600 jobs, as reported by Bloomberg. This follows CEO Frederic Oudea’s exit as trading revenue didn’t meet expectations. This also comes just after SocGen said it was considering closing its proprietary-trading unit, following the same move by its French rival BNP Paribas. 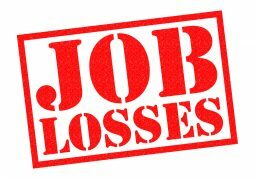 The reductions include close to 1,200 positions at the global banking and investor solutions division. About 750 jobs will disappear in France, according to the bank, although no further details have been given. SocGen is not the only institution that has recently seen complications in its trading business. UBS and BNP Paribas have also reported slumps in this area. The bank’s global banking and investor solutions unit has more than 20,000 employees worldwide. Trading revenue plunged 19% in the fourth quarter. Deputy CEO Severin Cabannes is now in charge of the GBIS unit and is readjusting a 2017 business plan. Earlier this year, in February, FinTech Futures already reported that Societe Generale was planning to cut jobs at its investment bank and find a partner for its cash-equity business to mitigate the increasing cost of meeting regulation demands.